Mr. Bell taught for forty years for the Iowa Writers’ Workshop and served two terms as Iowa’s first Poet Laureate. He and his wife, Dorothy, live portions of each year in Iowa City, Iowa, and Port Townsend, Washington, and spend time also on eastern Long Island. Mr. Bell serves on the faculty of the brief-residency MFA program based in Oregon at Pacific University. 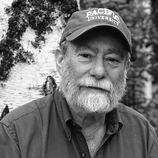 His literary honors include awards from the Academy of American Poets, the American Academy of Arts and Letters, Poetry and the American Poetry Review, as well as Guggenheim and National Endowment for the Arts fellowships and Senior Fulbright appointments to Yugoslavia and Australia. He reads and lectures widely and for five years designed and led an annual Urban Teachers Workshop for America SCORES. He has collaborated with musicians, composers, and dancers, and frequently performs with the bassist Glen Moore of the jazz group Oregon. Mr. Bell served as an officer in the U.S. army in 1964–65. Mr. Bell is the author of twenty books of poetry and essays.